In connection with the Mahi Mahi investigation three suspects, G.W.M. (45), A.R.L.B.T. (35) and O.E.J.A. (34) have been arrested on Tuesday August 23, 2016. Also searches, led by the Prosecutor and in the presence of a judge of instruction were carried out at five different addresses. The St. Maarten Police Force (KPSM), Customs, The Kingdom Detectives Cooperation Team RST and the Royal Dutch Marechaussee assisted in the searches which took place at G.W.M’s house in Sucker Garden, at A.R.L.B.T.’s house in Sucker Garden at O.E.J.A’s house in Pointe Blanche at one of O.E.J.A’s offices in Pointe Blanche at another of his offices on the A.Th. Illidge Road. During the searches a substance suspected to be illegal drugs, documents, administration, computers and other digital data carriers were found and confiscated in light of the ongoing investigation. After being questioned, the suspects G.W.M. and A.R.L.B.T. were notified by the Acting Prosecutor that their detention is prolonged (“inverzekeringstelling). O.E.J.A has been released after questioning. During the May 29, 2016 shooting at the Westin Dawn Beach Resort parking, at approximately 10:00am three men, K.L. (33), A.J. (43) and L.W. (37) got injured. 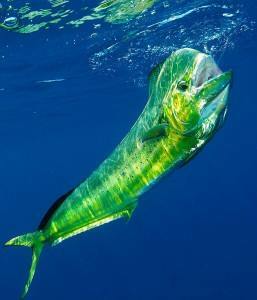 All suspects in the ongoing investigation called Mahi Mahi. They are being suspected of involvement in the shooting and money laundering.